MOSCOW (Sputnik) - Sixteen foreign aircraft have been detected while carrying out reconnaissance activities near the Russian border over the past week, an infographic published by the Russian Armed Forces' official newspaper Krasnaya Zvezda showed on Friday. Russian jets have been scrambled three times to prevent the foreign planes from entering the Russian airspace, the data showed. There were no trespasses, according to the newspaper. 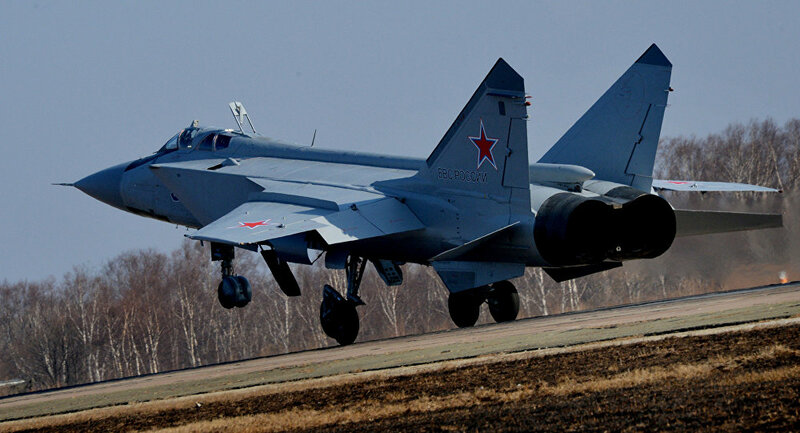 Last month, sixteen foreign aircraft have been spotted while carrying out reconnaissance activities near the Russian border. Previously, Russian Defense Minister Sergei Shoigu said that NATO has significantly boosted its reconnaissance activities in the Baltics and the Black Sea. Over the past years, the NATO members have been increasing their military build-up in Eastern Europe and the Baltic countries, citing the need for protection from alleged Russian aggression. Moscow has repeatedly stated it would never attack any NATO ally.